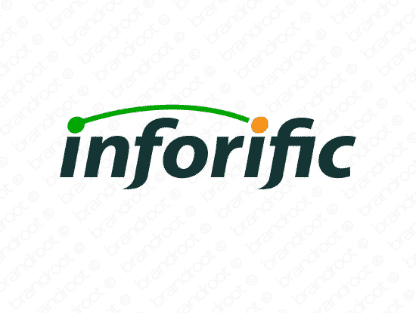 Brand inforific is for sale on Brandroot.com! This snappy name blends "info" and "terrific" suggesting a smart technology focused brand. Inforific is snappy and memorable, a great choice for companies offering media and information management and publication services. You will have full ownership and rights to Inforific.com. One of our professional Brandroot representatives will contact you and walk you through the entire transfer process.